In 2017, the New York Times published an expose on a secretive Defense Department program that had been investigating reports of unidentified flying objects (UFOs) for nearly a decade. 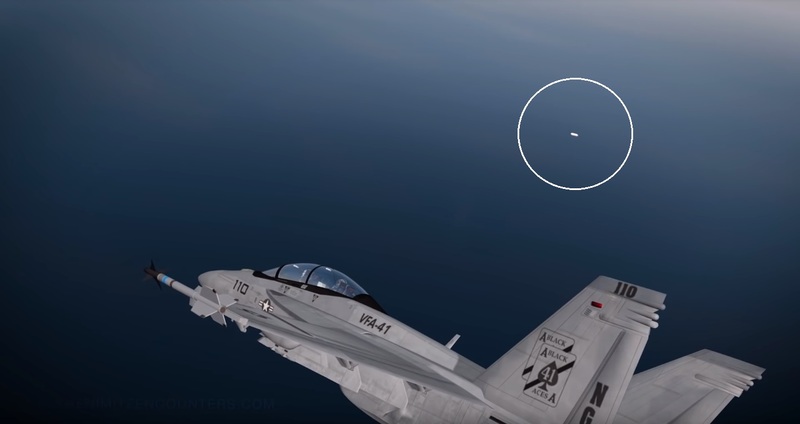 Among the reports analyzed by the Advanced Aerospace Threat Identification program was a video of a white oval object (Tic Tac shape) that was chased by two F/A-18F fighter pilots of the Nimitz Carrier Strike Group in 2004. 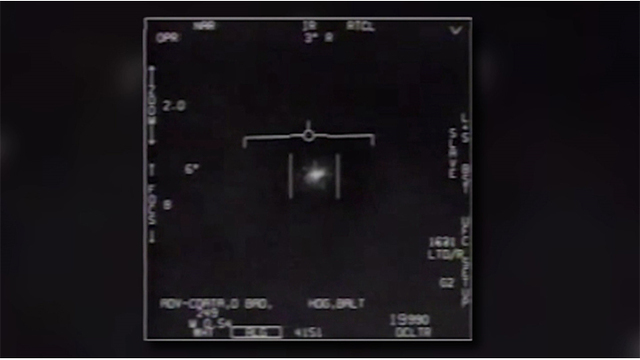 This image is from U.S. military footage of the Tic Tac. Down below is a Beaty short Documentary about the strange events that occurred Southwest of Southern California on Nov 14, 2004. In 2018, a local investigative news team in Las Vegas released a 13-page report prepared for the military that analyzes what happened that day in 2004. Tic Tac UFO was no known aircraft or air vehicle currently in the inventory of the United States or any foreign nation. Tic Tac UFO aerial view exhibited advanced low-observable characteristics at multiple radar bands rendering US radar-based engagement capabilities ineffective. Tic Tac UFO exhibited advanced aerodynamic performance with no visible control services and no visible means to generate lift. Tic Tac UFO exhibited advanced propulsion capabilities by demonstrating the ability to remain stationary, with little to no variation in altitude, transitioning to horizontal and or vertical velocities far greater than any known aerial vehicle, with little to no visible signature. 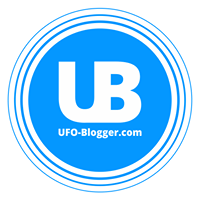 Tic Tac UFO possibly demonstrated the ability to cloak or to become invisible to the human eye or human observation. Tic Tac UFO possibly demonstrated a highly advanced capability to operate undersea, completely undetectable by our most advanced sensors. USN Vet here, trained in antisubmarine warfare (ASW) and have experience in EO/IR. My first thought on the water disturbance is cavitation from a high-velocity water entry of a large craft, or a fish ball attracted to a giant shiny metallic object. It would make perfect sense if the tictacs are analogous to swarm drone decoys as "eyes and ears", protecting a mother ship analogous to a carrier (which is what entered the water). Apart from the obvious anomalies, It's very telling that the erratic tictacs move in straight line movements. Therefore the tictacs must be using a movement force which can only abide by a scientific law constant which can only produce forces as straight line velocities. This would be completely different than aerodynamics, or even conventional movement schemas with non-standard propulsion methods such as ion propulsion. I suspect that the two "hooks" are effectively both the control surfaces and propulsion points. Electromagnetic forces, for example, concentrate and dissipate off of sharp points, and this would also explain the need for a very round craft body. Ionic propulsion or some other electromagnetic propulsion fits this idea well, but can not explain such incredible instantaneous velocity changes. The "hooks" are definitely manipulating some other scientific constant to achieve propulsion, one which is probably not well understood or recognized under public domain. This also perfectly explains the "saucer" form of conventional spacecraft, as the outermost edge works like a 360-degree sharp point to use as a control surface and propulsion surface. If you can't wrap your head around the idea, imagine a flying saucer with jet engines all along the edges of the craft, all with the inlet facing the centerline. You could hover by all engines outputting the same force, or vector thrust and direction by manipulating which engines are on or off. Not too different than traditional flying drones. In 1991, I was a young naval officer standing the midwatch as the conning officer on a Knox class frigate. We were in the Med, (Mediterranean Sea) and the water was flat calm...smooth like glass. It was very dark with a new moon. We were transiting East at 15 knots. While standing on the Port bridge wing, I noticed a soft greenish glow on the horizon about 30 degrees off the port bow. I kept my eyes on it as it looked like it was on an interception course with us. As it got closer, I thought it was a fish of some type with light reflecting off of it. Whatever that "tic-tac" looking thing was, that's more or less what I have seen especially when describing how it defied physics. The only difference was it was at night for me and it was more of an orangish sphere. But the movements featured in this looked pretty spot on, except mine was even more spectacular than the CGI graphics in this video and the movements at times were way faster, more agile, and would have created way more G-force. But, like this story, my event also happened to me while on the water about 7 miles off the coast of central Georgia aboard the USCG Cutter Tahoma steaming for Jacksonville, Fl. We were flying day shapes earlier in the day after running some exercises and realized we hadn't taken them down. I was asked by my OPS boss to take them down. So I went up to the O-3 deck and it was pitch black outside - a kind of darkness that city-dwellers aren't accustomed to because of light pollution. After I secured the day shapes I very clearly saw a glowing, orangish orb off the port side about midship. 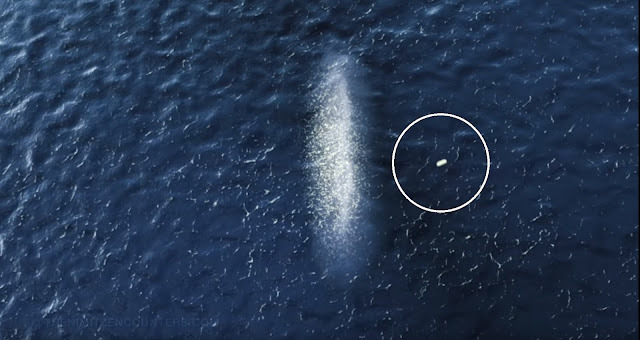 At first, I thought it was a mast light of a sailing craft, which means it would have been dangerously close, and my heart sank thinking how our radars couldn't have seen it so close up to the point where a collision seemed inevitable. You have to understand how dark it was out there. I could barely differentiate between the waterline and the horizon. It quickly became evident that it was no mast light, as this thing was dancing around and performing acrobatics as agile as a dragonfly but also shooting up, down, making figure-8 patterns, circles, etc. In short, it made no sense and I was seeing something I have never seen before or since. According to a media report in 2014, a pilot on the A320 Airbus reported the near miss to air traffic controllers, prompting an investigation. However, no one has been able to identify the object. 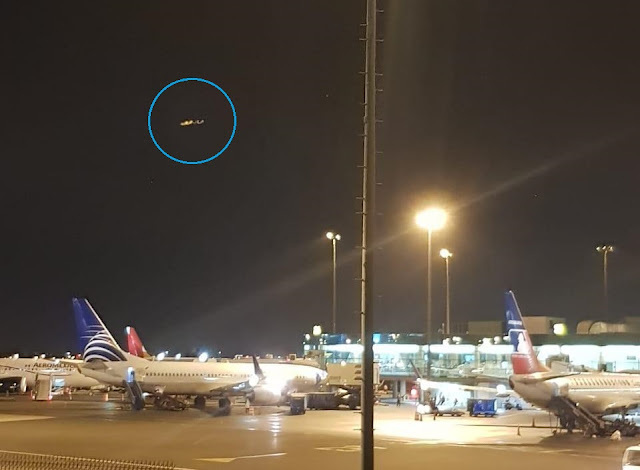 The aircraft was cruising at 34,000ft, around 20 miles west of Heathrow Airport, over the Berkshire countryside, when the captain spotted the object out of a left-hand side cockpit window. It was said to be "cigar/rugby ball like" in shape, bright silver and "metallic" and traveling towards the jet. The pilot said he felt certain it was going to crash into his aircraft and ducked as it headed towards him, but it did not appear to make the impact. He told investigators he believed the object passed "within a few feet" above the jet. The sighting occurred in daylight, at around 6.35pm on 13 July last year". It has only emerged now, following the publication of the report, which concluded it was "not possible to trace the object or determine the likely cause of the sighting". The incident was investigated by the UK Airprox Board, which studies "near misses" involving aircraft in British airspace. It ruled out other aircraft, meteorological balloons, toy balloons, and military objects.